Drive impulse sales by following our merchandising best practices. Contact our sales representatives to order your merchandising kits at the time of your order. 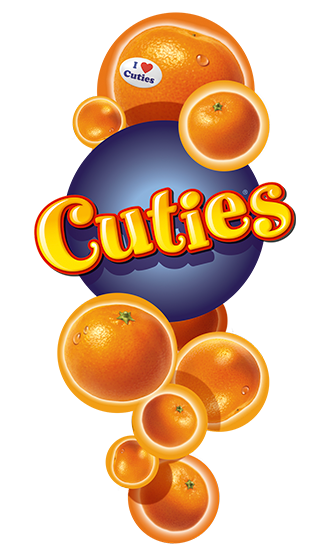 Make sure the Cuties brand is prominently featured. 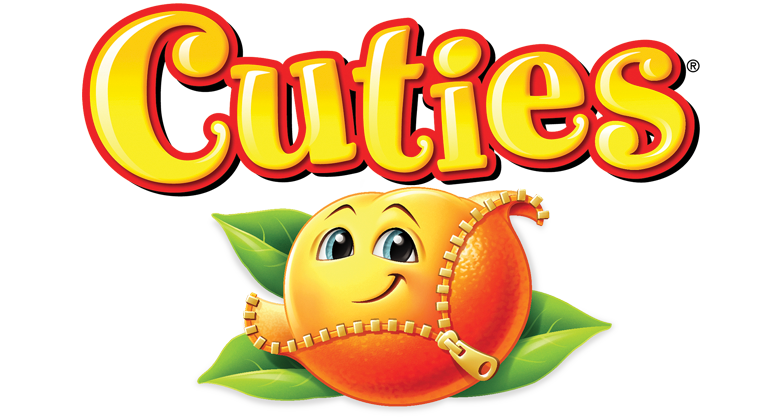 Cuties is the preferred mandarin brand and the fastest selling in the category. 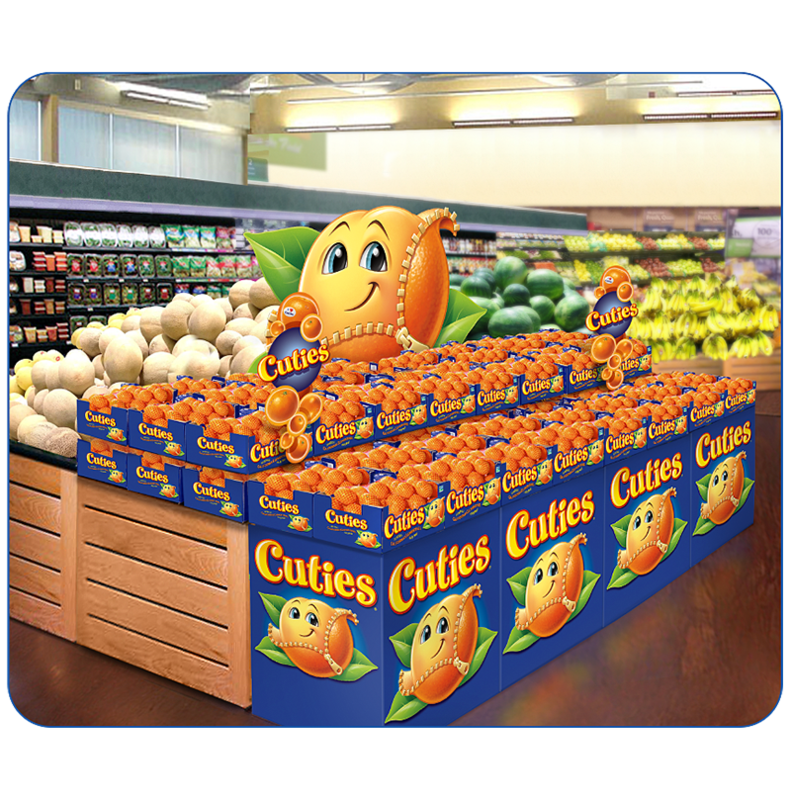 Display Cuties in a prominent position in the produce section to drive impulse sales. Utilize our high graphic displays and POS to drive impulse sales all season long. Maximize sales by carrying both 3 lb. bags and 5 lb. 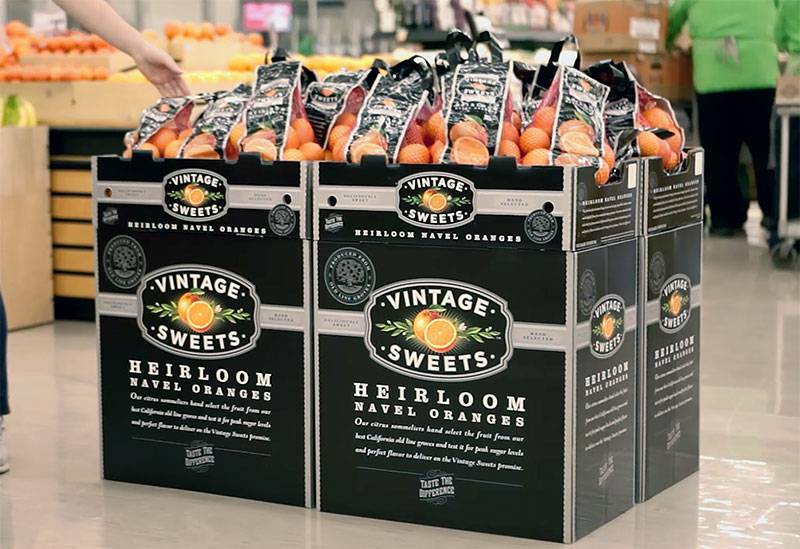 bags or boxes, as research demonstrates the different sizes appeal to different consumers based size of household and value. Cross merchandise Cuties and Mighties to convey the “kid-friendly” message. Conduct display contests to drive excitement among your stores and drive incremental sales through displays. 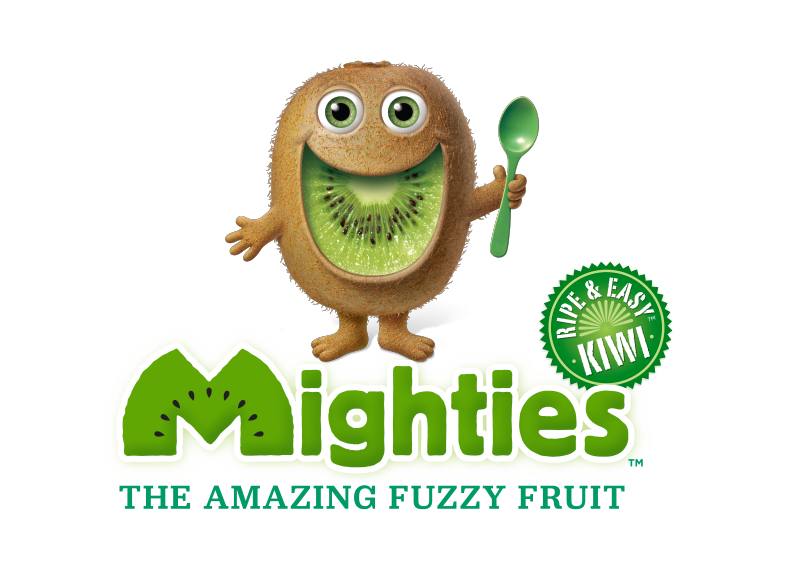 Display conditioned Mighties kiwi that is ready to simply scoop and eat. Retail by the pound vs. each to reduce shrink from handling, improve rotation and increase transaction size. 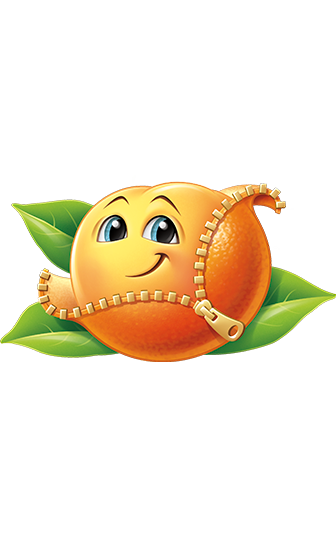 Encourage consumer trade up by switching from 1 to 2 lb. clamshells. 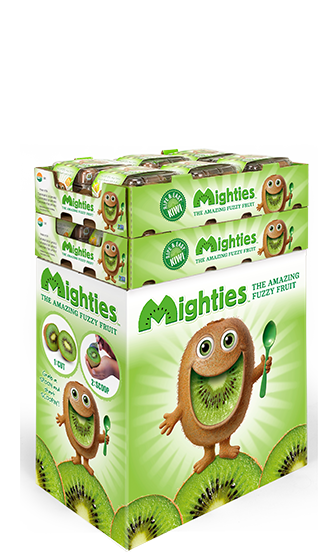 Educate consumers on the nutritional benefits of this super fruit and convenient scoop and eat consumption through Mighties informative packaging. 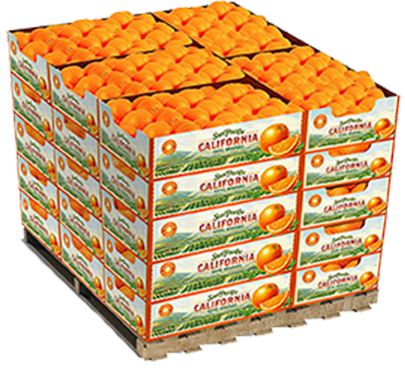 Drive impulse sales and awareness by using Mighties high graphic display risers. 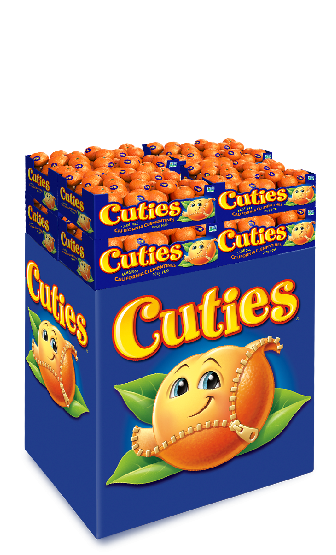 Display Mighties right next to Cuties when possible to convey the “kid-friendly” message. 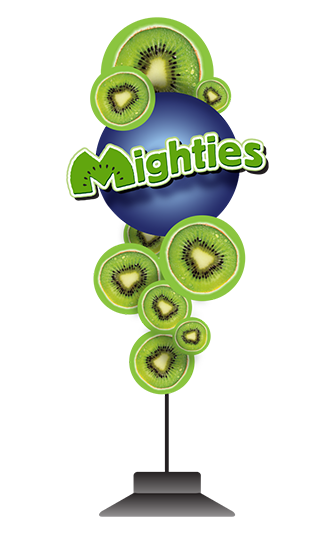 Mighties is available year around with supplies from our California vineyards and our international grower partners. Abundant, fresh, high quality and well-maintained grape displays generate increased grape sales. When building a display, most bagged grapes should be gently stacked no more than three layers high. 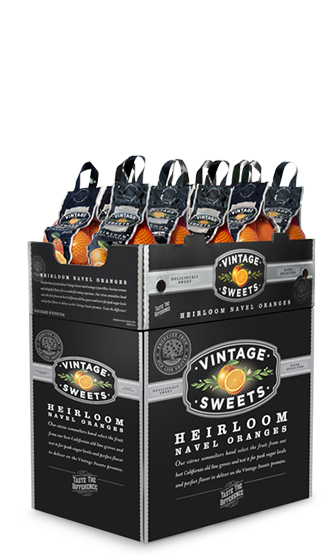 Refrigerated grape displays will have an increased shelf life. Grape bags stacked three high will start to show visible shrink at 48 hours of display. 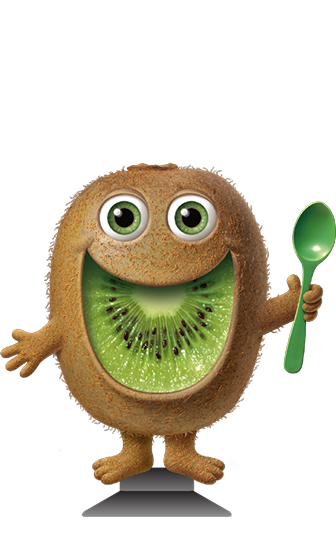 Use Front Page Ads to Promote Grapes. Front page ads can produce a volume lift of 159%. Promote Multiple Grape Varieties At the Same Time. When it comes to promoting grapes, offer your customers more options. Promoting multiple varieties creates larger volume lifts. Promote Grapes Every Week. More shoppers are purchasing grapes every week and your ads help. Discount Grapes by 31% or More from Everyday Pricing. Everyone loves a good deal! Significantly discounting grapes can maximize volume lifts by over 120%. Leverage the Impact of Your Front Page Grape Ad with In-Store Price Reductions. Increase the impact of your front page ad by offering a discount on grapes in the store at the same time: this can result in a 104% volume lift. 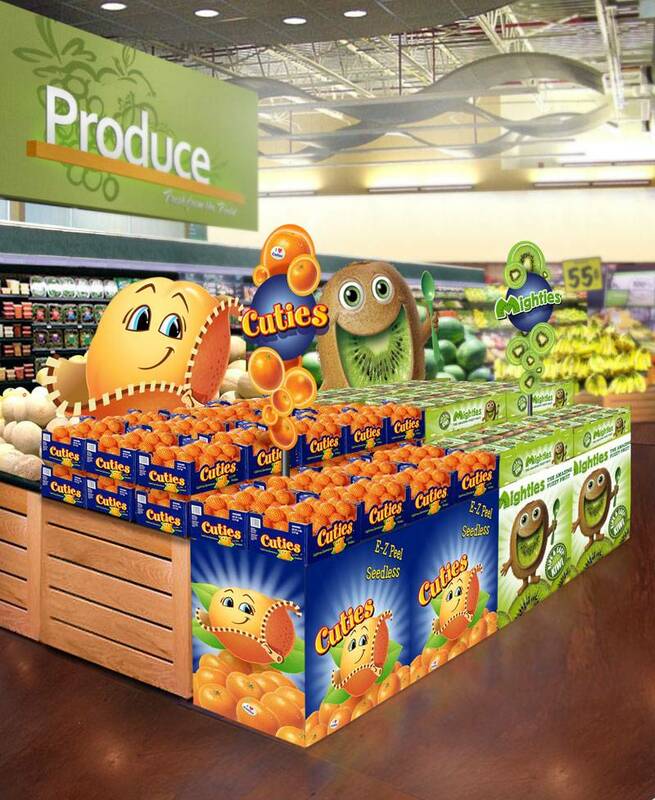 Use colorful, high graphic display risers, POS and bins which are available for your stores. 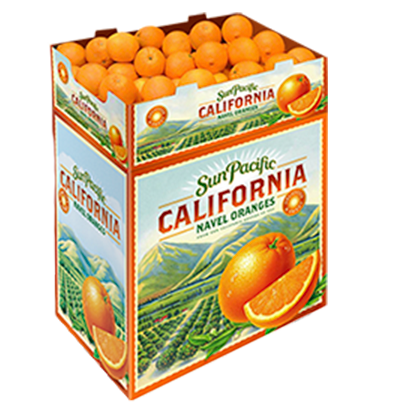 Display navels in a prominent position in the produce section to drive impulse sales. Utilize our high graphic displays and POS to drive impulse sales all season long. Maximize sales by carrying both bulk and bags to appeal to different types of consumers based size of household and value. Creating best practices from strategy through evaluation, we work closely with our retail customers in developing what works for them and their shoppers. 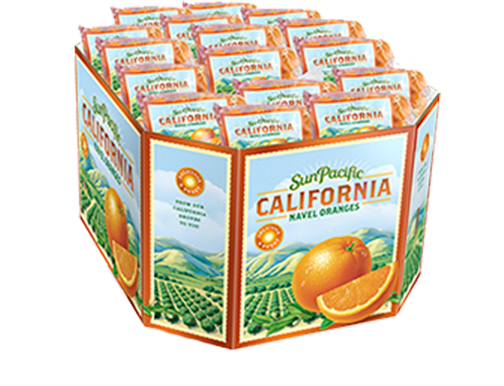 From captivating P-O-P materials, utilizing category management tools and current consumer research along with a variety of proven retail marketing programs (from contests to events), let us help you make a mark with your shoppers! If you have a consumer comment or concern, feel free to reach out to us through our comment form located here.